First of all what is Grocery CRUD? What happens when you purchase the theme? Once your purchase is done, your will receive an email from PayPal and an email from grocery CRUD with a URL to download the bootstrap theme. Normally this will happen instantly. However, sometimes the email can take up to 1 hour to be delivered. If you still haven't received our email, check your spam folder or if you still have issues please send an email to info@grocerycrud.com and we will figure it out. What are actually the files that I am downloading? You are getting a fully working theme but without grocery CRUD or Codeigniter. Have in mind that you are getting only the theme which can be easily installed to your project following the steps of this tutorial. If you haven't worked on Codeignter or Grocery CRUD before, then it would be better to become familiar with grocery CRUD before you buy the theme. So, make sure that you've already installed grocery CRUD in your project and you are happy with all the functionality that grocery CRUD provides. 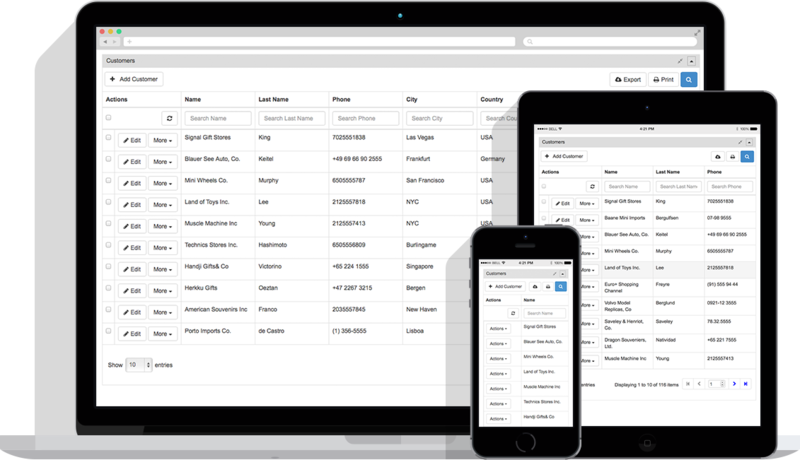 Bootstrap theme has some additional functionalities such as multiple search, multiple deletion of files e.t.c. but keep in mind that the grocery CRUD Core remains the same. This means that if you are not satisfied with the main features of grocery CRUD (e.g. you don't like the way the set_relation is working), don't expect this to have changed in the bootstrap theme. Am I buying support with this purchase (or is there any purchased support)? Are there any known issues about the theme so far? Is the demo exactly the theme that I will be getting (or should I expect something less/more)? The "more button" doesn't work. What can I do for this? 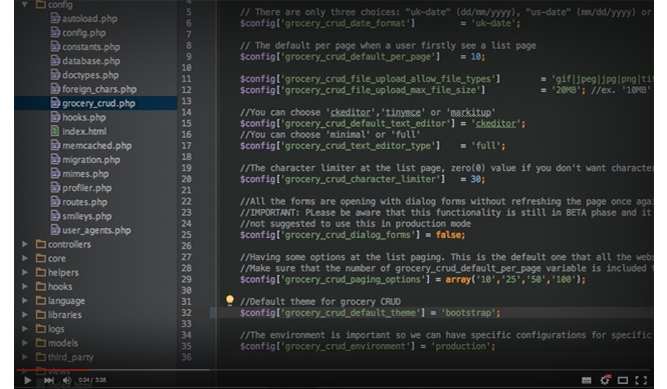 you can remove the call of the jquery from grocery CRUD. Still having doubts about something? Your template is using Bootstrap version 3 (e.g. Metronic Theme v4.7). You will find more answers to your questions that you may have over the internet. You have more experience or you are more familiar with Bootstrap V3 and you don't want to have unexpected issues at your project. You really just like the flexibility that Bootstrap V3 has and you would like to support legacy browsers (such as IE 9). You would like to skin your table (e.g. with bootswatch). Bootstrap V4 is the latest stable release of twitter bootstrap that we all know. You are using a latest template that is using the bootstrap V4 (e.g. Elite Admin) and it is required to have the bootstrap version 4. You really just like the simplicity that V4 has.